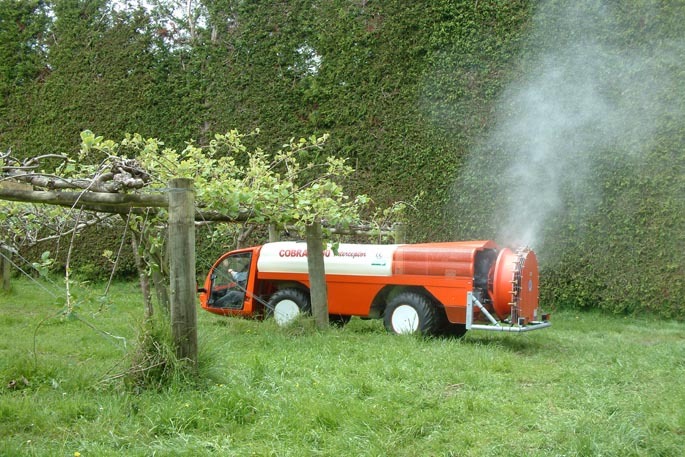 Chemical use in New Zealand – including herbicides and insecticides used in horticulture and agriculture settings – is being reassessed to ensure risks to people and the environment continue to be managed effectively. The Environmental Protection Authority is ramping up its reassessments programme and, working with international counterparts, has identified a priority chemicals list of 40 chemicals that require review and scrutiny. The list includes a number of herbicides, fungicides and insecticides used in horticulture and agriculture. But the independent regulator – which manages regulation, approval and reassessment of chemicals classed as hazardous substances under the Hazardous Substances and New Organisms Act – will not immediately reassess glyphosate, neonicotinoids, and methyl bromide as they don’t meet priority criteria. EPA chief executive Dr Allan Freeth says the reassessment work will involve reviewing the rules that apply to chemicals on the priority list to ensure risks to people and the environment continue to be managed effectively, providing greater confidence for New Zealanders the EPA is properly managing their health and environmental concerns on their behalf and on behalf of future generations. “This is an extensive and important programme of work that goes to the heart of keeping NZ and New Zealanders safe,” says Allan. “It is designed to lay the foundations for a modern chemical management system; one supported by robust and up-to-date evidence and data, and which aligns with the standards, knowledge and practices recognised by our regulatory partners globally. “Industry groups, importers, manufacturers and our trading partners will also enjoy greater consumer and international confidence in the way NZ manages its chemical regime. “Our worldwide knowledge about chemicals and their effects increases every day through advances in science and technology. But Allan says when an approval is granted for a chemical to be used in NZ that approval does not expire. “The only legal way it can be amended or revoked is when the EPA, or an interested party, takes formal action. As part of the programme, grounds for reassessment have already been established for the herbicide paraquat, and a call for information has been completed, says Allan. Allan says the EPA is funding this initial reassessment work by reprioritising its current expenditure, and is in discussion with the Government on longer-term funding. According to the EPA a large and diverse number of chemicals classed as hazardous substances are in use in NZ, with around 9000 individual approvals and 210 Group Standards covering a total of some 150,000 substances. Currently, the EPA assesses about 100 new hazardous substance applications, and decides whether to approve them with appropriate input from WorkSafe NZ. Agcarm, the industry association representing crop protection, animal health and rural supplier businesses, says the regulator’s approach is reasonable. “Part of the process involves assessing the benefits of the chemicals to New Zealand. It’s important not to overlook this,” says Ross.